Aloha, Nihilani at Princeville welcomes you to enjoy the best and newest resort style condos on the enchanting North Shore. This luxury professionally decorated 2 bedroom 2 bath single level luxury condo located in the interior of the complex and away from the road noise is set in a truly tropical setting overlooking our beautiful pool. This unit is beautifully furnished with all the amenities. Large flat screen TV, central A/C, high speed internet, unlimited long distance in North America, gourmet kitchen with stainless appliances, King and Queen beds plus queen sleeper sofa, beach chairs & boogie boards. Best location in complex. Read the reviews! Mesmerized at first glance… Our family was captivated by the unspoiled beauty of Kauai and the truth to the legend that nothing was built higher than a palm tree. We were in awe of the endless beaches that surprised us around every corner as we explored the island for the first time. There was something for everyone on this island, from practicing the art of true relaxation (sipping a tropical drink by the pool with a novel), frolicking in the waves, hiking to a secluded and spectacular waterfall or river kayaking to a tropical grotto. The hardest decision was what to eat at the many wonderful restaurants that serve fresh, local delights and a glass of wine or two. It was great for families, great for romance, and great for a sabbatical retreat for one. Aloha, Barb, Paul and family. When we saw the Nihilani resort on the North Shore, we were hooked. Purchasing the vacation villa was a new adventure that we hope lasts for many, many years. While we make our permanent home on Vancouver Island, British Columbia, Canada, we treasure our time in Kauai. It is our pleasure to share a little of paradise with you. Travelling to Canada, check out our Victoria BC property 729852. Welcome to Nihilani, a world-class luxury resort located in the heart of Princeville on the island of Kauai. Leave your cares behind as you embark on a vacation to restore your equilibrium and delight your senses. There is something for everyone on this tropical island known for its majestic cliffs, rain forests and breathtaking panoramas of ocean, mountain and golden beaches. Relax on a serene stretch of sand or dive into whatever adventure you’d like: golf, water sports, hiking, cycling - or test the waters of the cultural and culinary alike. Return home to the comfort of your own tastefully appointed villa that offers everything you need for the best in vacation experiences. Time is precious. Time on a tropical island surrounded by beauty and comfort – priceless. 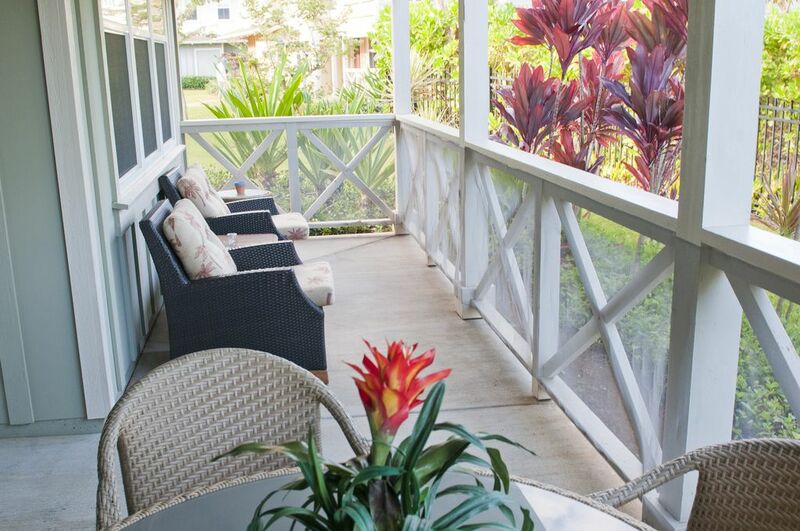 Learn more about the place you can call your own while you enjoy your dream vacation on the garden isle of Kauai. It is a lovely quiet space. Barb an I are sorry about the inconvenience of the garage spring breaking during your stay. We appreciated your flexibility as it was difficult to get it fixed quickly. It is our first 3 star rating during our 11 years. Ouch! Overall great unit and my family had a wonderful time. No concerns and will definitely come back in the future! Clean and comfortable place. We had some issues with the passcode for the door and the washer but Paul was really helpful and responded promptly. We enjoyed our stay at Paul's condo. Thanks Paul! After 5 years, we came back to Kauai and stayed at this beautiful condo for a family reunion. As expected, it exceeds our expectation and more. The amenities and supplies in the house are what keeps us coming back. It can't beat staying in hotel where here it's more than a home away from home feeling. Location to restaurant, groceries, beach and golf are accessible. Surely, we will come back. Thank you for sharing your home. The condo was really nice, had everything we needed. Really enjoyed all the extras, boogie boards, bikes, surf boards, snorkel equipment. The community pool was always clean and the property well kept. Glad to hear that the condo met your needs.